Now that the temps are starting to cool down, resorts are rolling out some awesome family vacation deals, making fall one of the best times to get away. Among the perks: fewer crowds, stunning fall foliage, and fabulous local festivals! The best perk of all, though (aside from spending time bonding as a family) is all the money you’ll save by traveling in the “shoulder season.” Resorts really want to fill those rooms, so they pull out all the stops to get you in! Check out a few of our favorite fall family vacation ideas that absolutely stand up to the high-season but at a far greater value! Sanctuary on Camelback Mountain (Paradise Valley, Ariz.): Desert activities are far more pleasant when the summer heat subsides. Perched above the Sonoran’s Paradise Valley, Sanctuary on Camelback Mountain offers guided hikes and biking up Camelback Mountain, exceptional local dining at elements, and spa services at the award-winning Sanctuary Spa. The views from their infinity pool are amazing! Shoulder season rates start at $529 per night, a nice break from high season’s $679. Whiteface Lodge (Lake Placid, N.Y.): Foliage is the star fall attraction at Whiteface Lodge, tucked high in the woodlands of the Adirondack Park. Cocktails by a fire pit in a private Lean To, or warm, homemade cookies at turndown in front of the guest’s own in-suite cast-iron fireplace, are the perfect cap to an autumn day spent on an outdoor adventure with an ADK Guide – one of Whiteface Lodge’s adventure concierges. Apple Cider treatments give a seasonal twist to the resort’s spa menu. Fall rates start at $282 per night, down from $448 in high season. 1000 Islands Harbor Hotel (Clayton, N.Y.): Fall travelers to this charming riverside town, steeped in Gilded Age romance, can stroll its shop- and gallery-lined streets unimpeded by summer’s crowds. Boating adventures, including island-hopping cruises on the St. Lawrence River, are still available through the fall, and the seasonal calendar is packed with events, from the annual Clayton Jazz Festival to the family-friendly Punkin Chunkin. Fall rates at the riverfront 1000 Islands Harbor Hotel start at $139 per night, compared to $379 during the summer. Sea Crest Beach Hotel (North Falmouth, Mass. ): No bridge back-ups mean fall travelers spend more of their hard-earned vacation time onCape Cod vs. getting to it. And they’re rewarded for their good sense with far-less-crowded beaches, vibrant foliage, and plenty of seasonal fun. Sea Crest Beach Hotel offers step-out access to a private stretch of Old Silver Beach on Buzzard’s Bay and is just a short drive from Falmouth Village, with its October scarecrow competition, and festivals at Cape Cod Fairgrounds, ranging from the 47th Annual Scallop Festival to the Cape Cod Brew Fest. Fall guests enjoy it all at a fraction of the summer nightly rate: $99 compared to $320. Harbor View Hotel (Edgartown, Mass. ): Scallop season and a bowl of steaming hot clam chowder might be reason alone for foodies to delay a Martha’s Vineyard getaway till the cooler days of fall. And then there’s the annual Food & Wine Festival to seal the deal. Celebrating its 125th year of hospitality, the historic Harbor View Hotel offers an ideal Edgartown location for shoulder season visitors, within a short stroll of museums, galleries and the Edgartown Lighthouse, which welcomes visitors through early October. The month-long Striped Bass & Bluefish Derby, spanning mid-September to mid-October, is another draw. Fall rates start at $119 per night, down from summer’s $519. Kelley House (Edgartown, Mass. 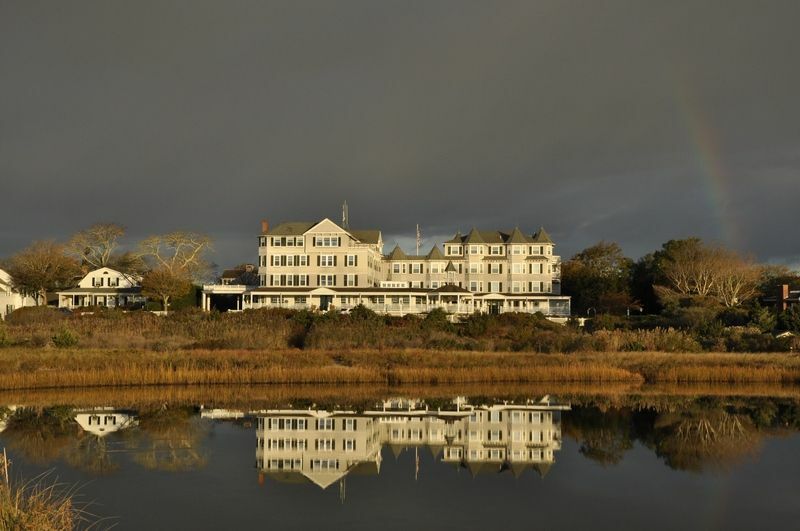 ): The Harbor View Hotel’s sister inn, Kelley House, first opened its doors in 1742, making this Vineyard hotel one of the nation’s oldest and most historic. 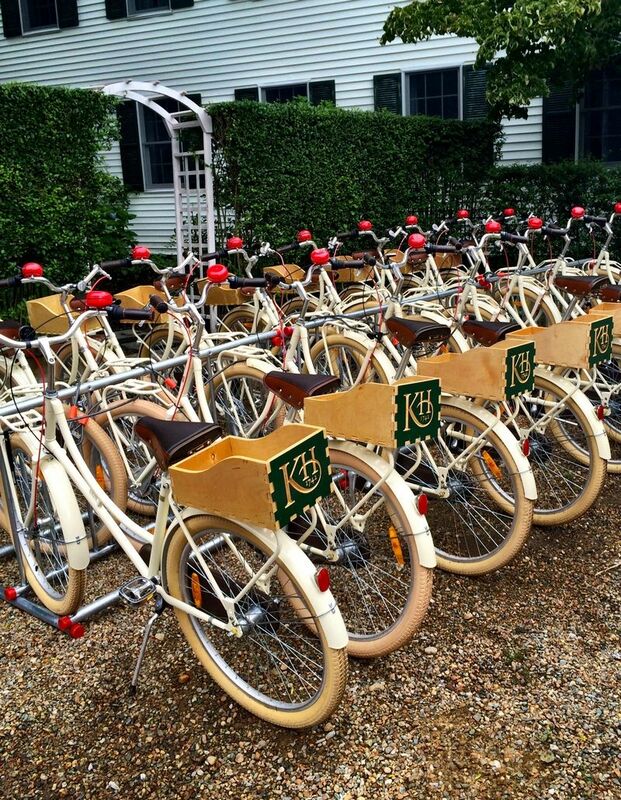 Fall is a great time for guests to grab one of Kelley House’s custom three-speed cruisers for a short jaunt to an uncrowded beach, or a bicycle tour of the island via miles of trails and country roads. Nightly rates start at $108 in the fall, compared to $369 in high season. Harborview Nantucket (Nantucket, Mass. ): Nantucket’s charms don’t leave with the high-season tourists; its cobblestoned streets have much to offer visitors who linger beyond the last summer ferry. The distinctive private cottages of Harborview Nantucket provide a cozy fall escape just steps from the harbor and town – the perfect location for foodies and festival-goers drawn to autumn events such as Nantucket Fall Restaurant Week, the island’s annual Cranberry Festival (Oct. 8), Nantucket Grown Food Festival, and Nantucket Arts Festival. Fall rates start at $550 compared to $995 in high season. With so many beautiful places throughout the US to visit and such great discounts on packages, it’s easy to see why fall is the perfect time for your family vacation! For moms with kids in school, think fall break! By then, I bet you could all use a getaway! I’ve only been waking up early for a couple of days and trust me, I’m ready for a break! Do you have any fall family vacation plans? I’d love to hear about them! Tell me in the comments below! Such a beautiful place! Would love to visit here soon! They all look so inviting! Just about anyone would enjoy these trips! These are all really stunning places. It is always great to travel during the off season as one, you get great deals and on the other hand, the crowds are lesser too. Look at those views! Absolutely gorgeous! Oh wow! Everything looks really beautiful! The houses are perfect for some rest and relaxation with the whole family. The kids will love these places for sure! Some of these locations are new to us. Might need to research them some more… although not sure when I’m heading out east again!